Xiaomi which was just another Chinese company a few years back has now made its name as one of the leading smartphones manufacturers in the world. The main reason for its transformation is its line of cutting-edge budget mobile phones. Their smartphones sell like hotcakes in the market and are sold out within seconds. This post is on how to root redmi note 4, but first, let’s dive into the specs. The Redmi Note is one of their leading budget smartphone series with Redmi Note 4 as the latest iteration. With Octa-core Snapdragon 625 processor, 4GB RAM, 13MP camera, 4000mah battery at just Rs.13000 made it an absolute no-brainer to buy. Like every other Chinese manufacturer, Xiaomi too has a custom skin on the top of Android installed on their devices are known as MIUI. It allows you to customize your phone’s UI according to your preference and has a lot of options for that. But if you’re that person who doesn’t like the pre-installed UI given by companies and is more of a stock Android guy or like any other UI you can root your phone to install custom ROMs. Rooting can also help you backup your phone, not like the backup option the company provides which is far from everything on your device. You don’t have to wait for updates from the manufacturer anymore which is another advantage of rooting your device. Rooting seems like a complicated task to most people, and maybe an image of a nerd jotting down codes on his computer may appear to your mind. People often get scared that their device will get malfunctioned and they won’t be able to use it properly. But it’s a simple task, and anyone can do it with a PC/Laptop and of course the phone you would like to root. We can do it without using PC/Laptop too. Here, I am going to show you how you can root your Redmi Note 4 without PC in a few steps. But, make sure that you charge your mobile to 100% before trying to root your device. It is because the rooting takes time and you don’t want the phone to die in the middle of the rooting process. NOTE: Before going further make sure to create a backup of your all data including Messages, Contact Files, Images, etc. Rooting your device without using PC/Laptop seems to be one of the easiest methods. But as far as my concern root your device using a PC/Laptop. 1. Go to the setting of your device then go to security and then allow unknown sources. 2. Download the latest version of Kingroot App from here and install it. 3. Make sure that you connect to a stable and secure internet connection be it WiFi or 3g/4G. 4. Open the Kingroot App and click on One Click Root. 5. The app will start rooting your phone, and this process may take several minutes. 6. The screen will show that the phone is Successfully Rooted. You’ve successfully rooted your Redmi Note 4. 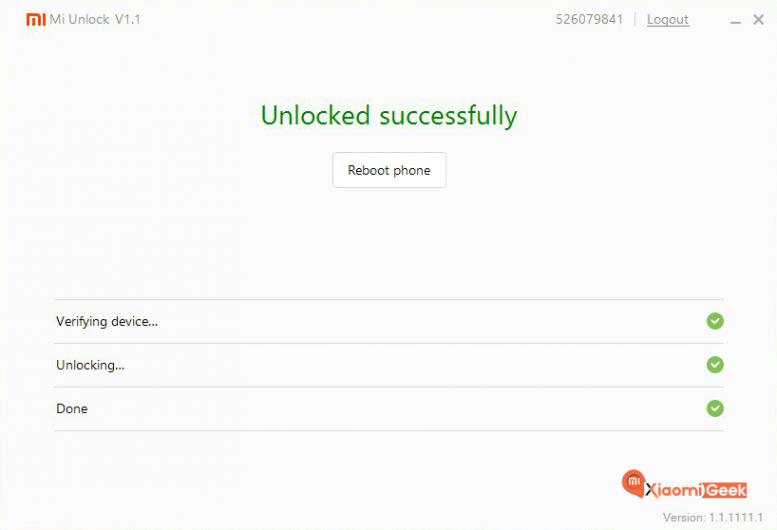 Firstly, you need to unlock the bootloader to root redmi note 4 device. 1. 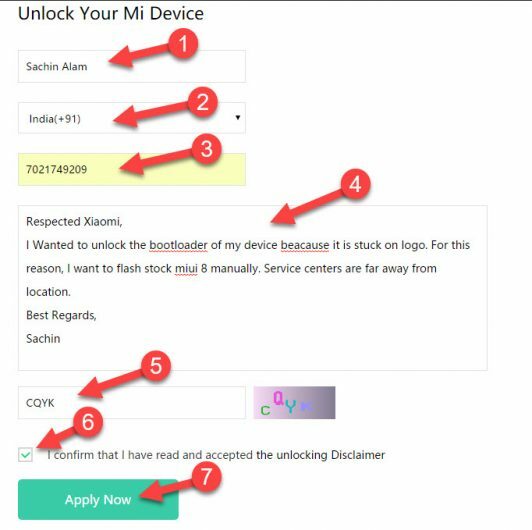 For this, you have to contact Xiaomi through their Mi Unlock Page and login into that site with the account that you’re using on your Redmi Note 4 device. 2. They will send you a confirmation to unlock your device through a text message, and this process can take up to some time so be patient. 4. Make sure that you should’ve been logged in with the same account as of your phone. 5. Install ABD & Fastboot driver on your pc from here. 6. 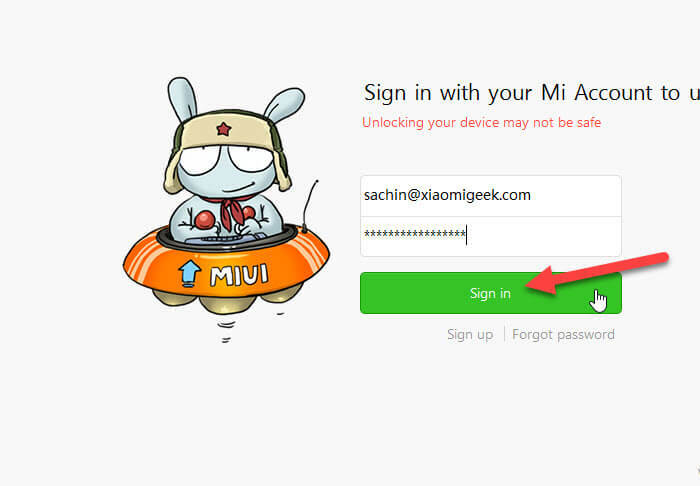 Now download MI Unlock Tool and extract it in your PC. Now run the MIFlashUnlock.exe application. 7. After opening the application, you need to login into your Mi Account. Make sure you log in with the same account. 8. Now the application will check wheater your Phone has permission to unlock it or not. You will see a message that device is not connected. 9. Now you have to switch off your Redmi Note 4 in Fastboot mode. Let me tell you how can you get into fastboot mode. Power off your phone, Hold the Power button + Volume Down button simultaneously. That’s it now you will be in fastboot mode. Connect your Phone to your PC using the USB cable. 10. 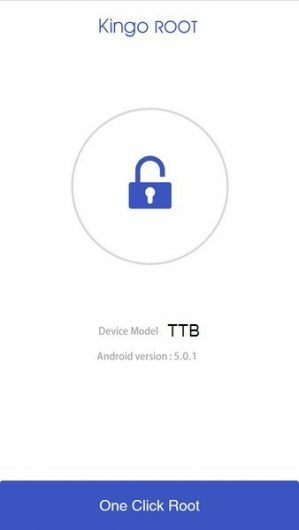 Finally, click on unlock button to unlock your bootloader.This unlocking process may take some few minutes. Once the process is complete click the button reboot phone option. That’s it; you have successfully unlock the bootloader of your Redmi Note 4. Now you have to move the TWRP files into your Phone to complete the root process. It will be good if you Unlock Debugging Mode and Unlock OEM on your SmartPhone. This is helpful in the process to root Redmi Note 4. How to enable USB Debugging Mode on your Android SmartPhone? Here is the simple step to unlock debugging mode on your smartphone. Go to Setting > About Phone > Tap 5 to 10 times on MIUI Version. This will enable debugging mode on your smartphone. Now go back again to Setting > Additional Setting > Developer Options. Just click on Enable USB Debugging and OEM unlock from the menu bar. 1. Once you install all the programs that are available for download, its time to start the actual root process for your device. 2. Open the Mi Unlock Tool on your device and log in with the same account you’ve logged in your Redmi Note 4 device. 3. After that boot your device in fastboot mode by simultaneously pressing the Volume Up and Power button on your device and release the buttons when the screen says Fastboot. 4. 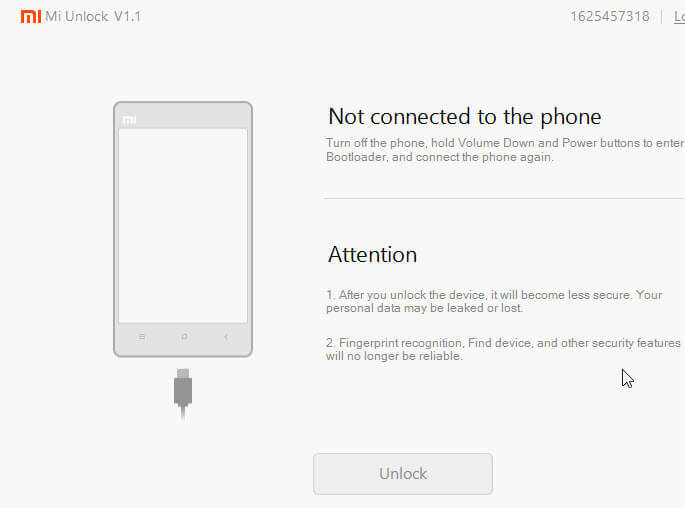 Connect your Redmi Note 4 device using the USB cable and click on unlock in the Mi Unlock tool. The tool will then Unlock your device. 5. Before proceeding further, transfer the TWRP recovery tool file which is of the format TWRP.img in the ADB folder. 6. Now go to the settings of your Redmi Note 4, then to Developers Options ( If Developers options are not present click on about phone 5-7 times ) and finally click on Enable USB Debugging. 7. Look for “command.bat” file in the ADB folder and run it. It will open the command prompt. To check if you’re device is connected type and devices and click enter. 8. Now type adb reboot bootloader and press enter to boot your device in Fastboot mode. You can also press the Volume Up button and power button simultaneously to do the same. 9. Type flash boot flash recovery TWRP.img and press enter. You’ve successfully installed TWRP recovery, and you can proceed to root redmi note 4 using SuperSU. Transfer the SuperSU file you’ve downloaded on your PC/Laptop to the internal memory root Redmi Note 4 phone that you have. 1. Now boot your device in Fastboot mode by press the Volume Up button and Power button simultaneously. 2. As we’ve installed TWRP recovery on the device, you’ll see TWRP recovery on the screen. 3. 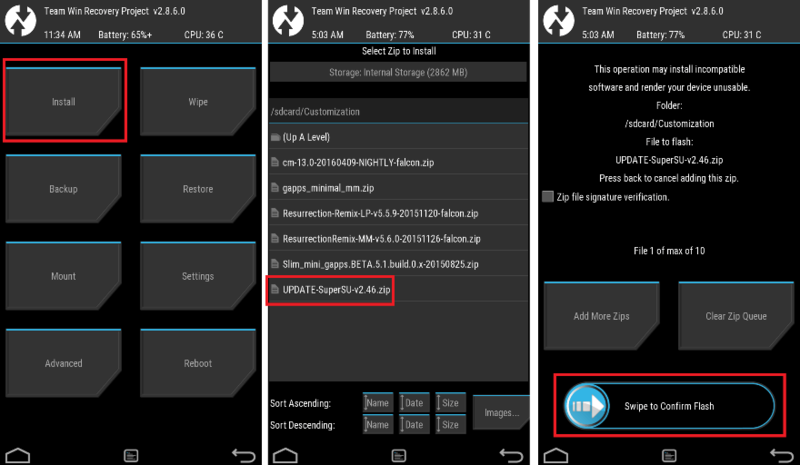 In TWRP recovery select Install Zip and then select the SuperSu.zip file. 4. You will see a message “Confirm Flash!”. Clear cache and Dalvik Cache. 5. Go back to the menu select Install Zip and select lazyflasher-no-verity-opt-encrypt.zip and swipe to confirm flash. 6. Once the installation is complete, press the reboot option in the menu. 7. You’ve successfully rooted your Redmi Note 4. Another simple yet very effective method to root redmi note 4 is to use KingoRoot Software. Since, it is a third-party chinese app, we didn’t recommend it in the beginning. However, if you’ve tried every way and still not able to root redmi note 4, you can follow these steps. 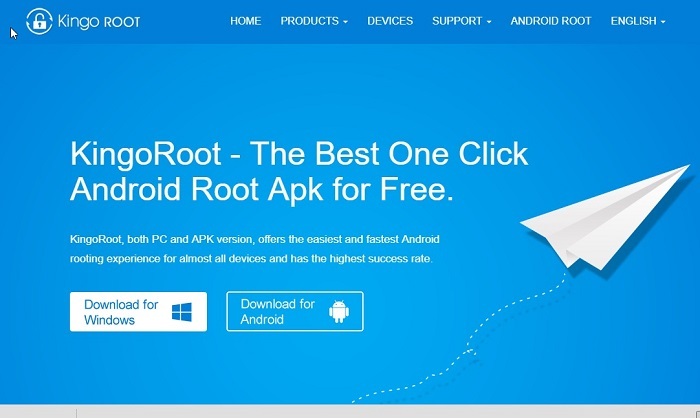 Download the KingoRoot for Android on your PC and install it using standard requirements. Once installed, open the software and connect your Redmi Note 4 smartphone to your PC via a USB Cable. The KingoRoot App though comes for Android as well, we’ll proceed with the PC installation. Once you connect the phone, the software will automatically detect the phone. To root redmi note 4 device, all you need to do is just click on the “Root Now” button. After several restarts and popups, you will find your device installed with 1-2 other apps in Chinese. Give access to several permissions, and Voila! 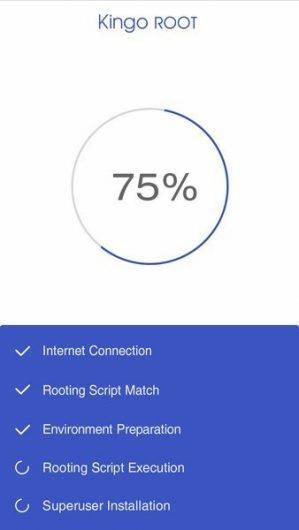 You successfully Rooted Redmi Note 4. So guys, by using these ultimate guides you can root Redmi Note 4 Device, Install TWRP Recovery & Install SuperSU on it. And now do awesome stuff with your Android Smartphone. If you’re still having any problem while rooting any of your device you can ask freely in the comment box. How do I root my Redmi Note 4?